Tickets are $50 and must be purchased in advance. 100% of the ticket sales will go towards TETEA Inc. as a tax-deductible donation. 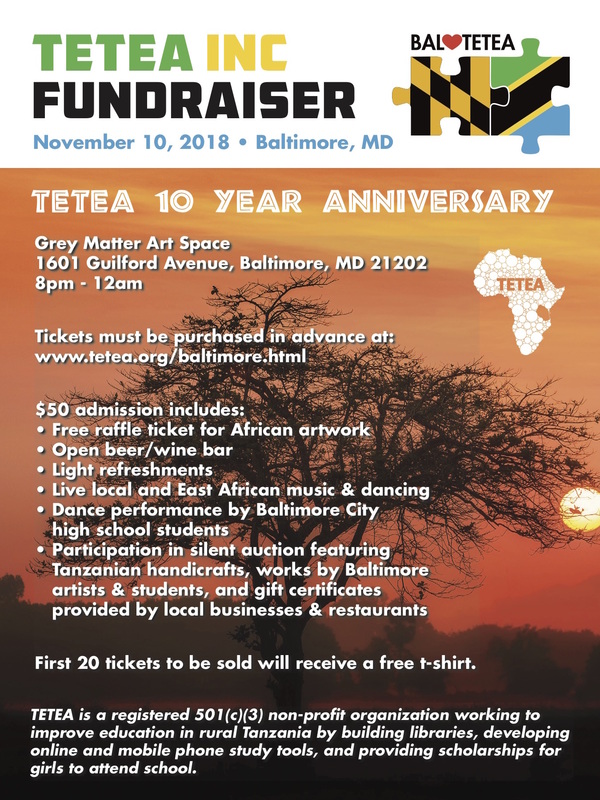 Participation in silent auction featuring Tanzanian handicrafts, works by Baltimore artists & students, and gift certificates provided by local businesses & restaurants. First 20 tickets to be sold will receive a free t-shirt. 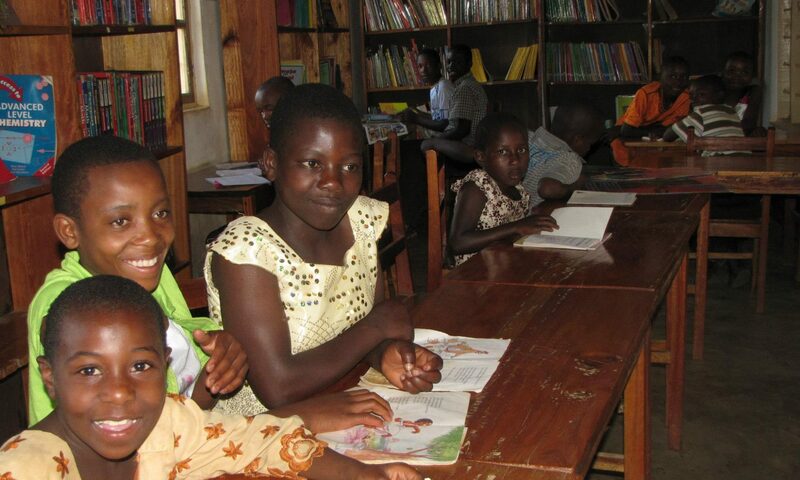 TETEA is a non-profit organization working to improve education in rural Tanzania by building libraries, developing online and mobile phone study tools, and providing scholarships for girls to attend school. Unable to attend? Any donation you can make would be appreciated.